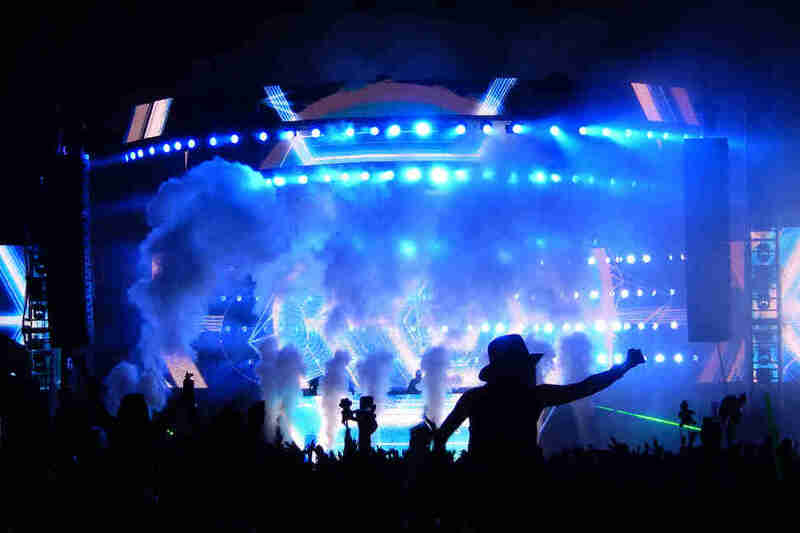 How much do you know about world music? Food and wine? If the answer is “next to nothing,” it’s time to put self-improvement on your summer agenda. Fortunately, upping your cultural cred doesn’t have to be at the expense of fun -- or require an Uber. We’ve rounded up 30 Chicago happenings, plus a clickable map, for a more savvy you. Paella Cook-Off Watch some of Chicago’s top chefs, including John Manion of La Sirena Clandestina and Perry Hendrix of avec [sic] compete for bragging rights at the second annual “Beyond Gourmet” paella cook-off. Tickets include hors d’oeuvres, paella samplings, and your choice of sangria, Spanish-inspired cocktails, or Spanish beer. Paella Cook-Off Mercat a la Planxa Watch some of Chicago’s top chefs, including John Manion of La Sirena Clandestina and Perry Hendrix of avec [sic] compete for bragging rights at the second annual “Beyond Gourmet” paella cook-off. Tickets include hors d’oeuvres, paella samplings, and your choice of sangria, Spanish-inspired cocktails, or Spanish beer. Techweek Scope out the cutting edge of technological innovation at this week-long conference and expo, featuring speakers such as Brent Payne of Loud Interactive, Amy Francetic of Clean Energy Trust, and more. Techweek 222 W. Merchandise Mart Plaza Scope out the cutting edge of technological innovation at this week-long conference and expo, featuring speakers such as Brent Payne of Loud Interactive, Amy Francetic of Clean Energy Trust, and more. 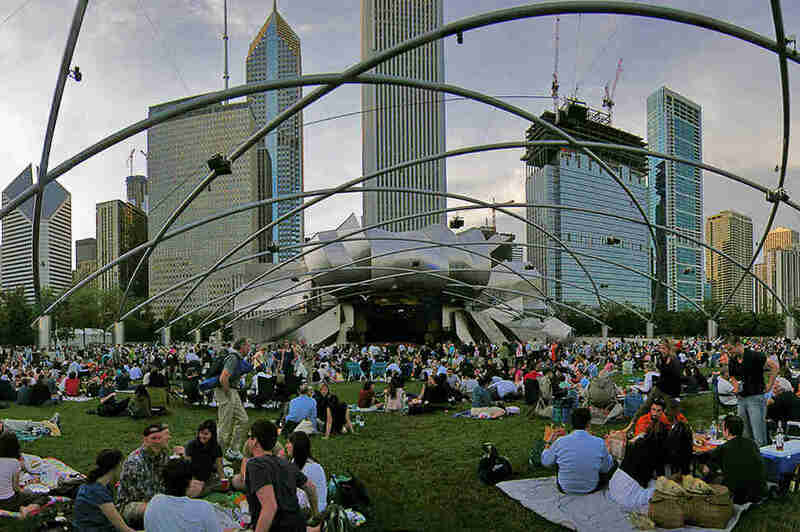 Millennium Park Summer Film Series Every Tuesday all summer long, Millennium Park will screen movies on a 40-foot LED screen. Spread a picnic blanket out on the lawn for Back to the Future (June 23), Almost Famous (July 28), and The Breakfast Club (September 1). Millennium Park Summer Film Series Millennium Park Every Tuesday all summer long, Millennium Park will screen movies on a 40-foot LED screen. Spread a picnic blanket out on the lawn for Back to the Future (June 23), Almost Famous (July 28), and The Breakfast Club (September 1). Logan Square Arts Festival Join non-profit arts and cultural development organization, I Am Logan Square, for three days of music, art, food and drinks. Logan Square Arts Festival Logan Square Join non-profit arts and cultural development organization, I Am Logan Square, for three days of music, art, food and drinks. 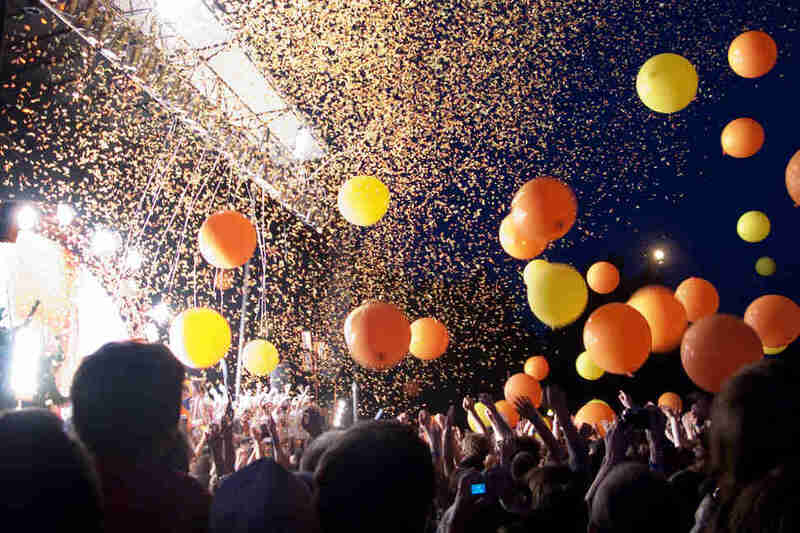 Old St. Pat’s World’s Largest Block Party This self-proclaimed “World’s Largest Block Party” draws thousands of friendly partiers and features shows by Neon Trees, Young the Giant, and 7th Heaven; tickets include three free drinks. Old St. Pat’s World’s Largest Block Party UIC Festival Lot This self-proclaimed “World’s Largest Block Party” draws thousands of friendly partiers and features shows by Neon Trees, Young the Giant, and 7th Heaven; tickets include three free drinks. EVOLVE Between music, cocktails, hors d’oeuvres, and after-house access to the upcoming Mammoths and Mastodons: Titans of the Ice Age exhibit, this party hosted by the Field Associates promises to be of Chicago’s premiere social events of the summer. If that’s not fancy enough, VIP admission gets you access to museum scientists and complimentary parking. EVOLVE The Field Museum Between music, cocktails, hors d’oeuvres, and after-house access to the upcoming Mammoths and Mastodons: Titans of the Ice Age exhibit, this party hosted by the Field Associates promises to be of Chicago’s premiere social events of the summer. 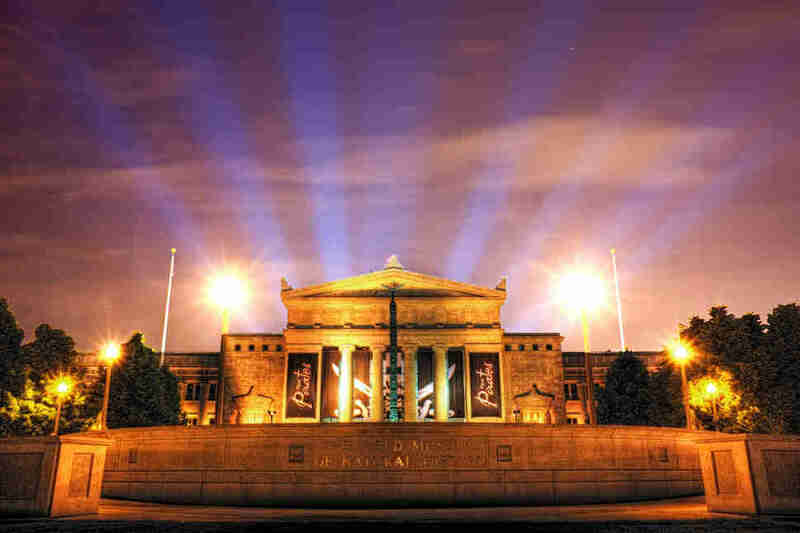 If that’s not fancy enough, VIP admission gets you access to museum scientists and complimentary parking. Gourmet in the Garden Enjoy a leisurely afternoon of food and wine on the patio, as part of Bon Appetit Presents Chicago Gourmet’s “Beyond Gourmet” series. Benefits go to Friends of James Beard, a foundation that raises more than $700,000 in culinary scholarships annually for aspiring chefs. Gourmet in the Garden Piccolo Sogno Enjoy a leisurely afternoon of food and wine on the patio, as part of Bon Appetit Presents Chicago Gourmet’s “Beyond Gourmet” series. Benefits go to Friends of James Beard, a foundation that raises more than $700,000 in culinary scholarships annually for aspiring chefs. Chicago Pride Parade Support Chicago’s LGBTQ community, and have a ton of fun, by attending the annual Pride Parade. The parade starts promptly at noon at Broadway and Montrose and showcases registered floats, decorated vehicles, a marching band, and more. Chicago Pride Parade (Multiple Locations) Support Chicago’s LGBTQ community, and have a ton of fun, by attending the annual Pride Parade. The parade starts promptly at noon at Broadway and Montrose and showcases registered floats, decorated vehicles, a marching band, and more. Windy City RibFest in Uptown Celebrate some of the best local and national “ribbers,” including Woodstock-based BBQ King Smokehouse and Porky Chicks BBQ from Arkansas, to live music by Dave Matthews tribute band Trippin Billies and punk rockers Lucky Boys Confusion. Windy City RibFest in Uptown Uptown Celebrate some of the best local and national “ribbers,” including Woodstock-based BBQ King Smokehouse and Porky Chicks BBQ from Arkansas, to live music by Dave Matthews tribute band Trippin Billies and punk rockers Lucky Boys Confusion. 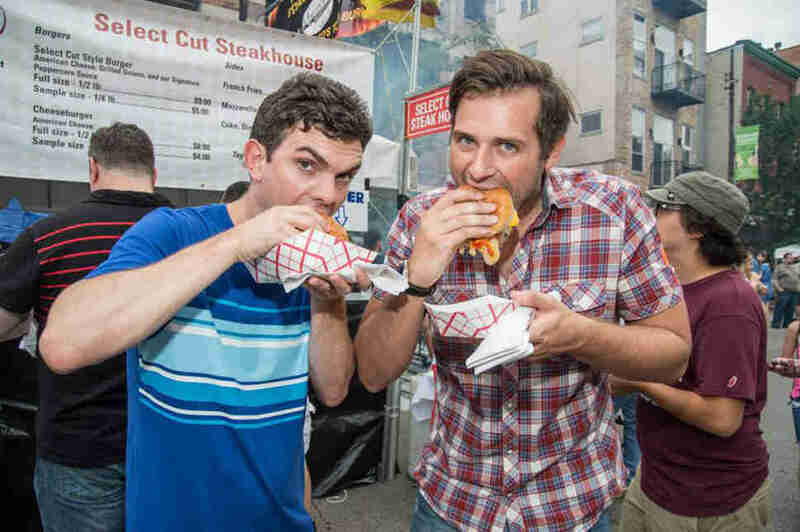 Taste of Chicago Up your local culinary knowledge across the board with restaurants like Porkchop and Billy Goat Tavern & Grill, food trucks like The Fat Shallot and Beavers Coffee + Donuts, and eight pop-up vendors, including Burger Bar Chicago, and Old Crow Smokehouse. Arm yourself with elastic-banded pants and let the feeding frenzy ensue. Taste of Chicago Grant Park Up your local culinary knowledge across the board with restaurants like Porkchop and Billy Goat Tavern & Grill, food trucks like The Fat Shallot and Beavers Coffee + Donuts, and eight pop-up vendors, including Burger Bar Chicago, and Old Crow Smokehouse. Arm yourself with elastic-banded pants and let the feeding frenzy ensue. Windy City Smokeout Country music and barbecue collide at the third annual Windy City Smokeout. Musical headliners include Kacey Musgraves and Lee Brice, while Lillie’s Q, Bub City, Chicago newcomer Dinosaur Bar-B-Que, and more round out the eats. Windy City Smokeout 560 W. Grand Ave Country music and barbecue collide at the third annual Windy City Smokeout. Musical headliners include Kacey Musgraves and Lee Brice, while Lillie’s Q, Bub City, Chicago newcomer Dinosaur Bar-B-Que, and more round out the eats. Tour de Fat New Belgium Brewery brings its planet-saving rolling carnival of bikes and brews to Chicago -- one of ten stops on its 2015 tour. Tour de Fat Palmer Square New Belgium Brewery brings its planet-saving rolling carnival of bikes and brews to Chicago -- one of ten stops on its 2015 tour. Roscoe Village Burger Fest Sink your teeth into Butcher and Burger, Rockit Burger Bar, Trenchermen, and more, accompanied by live bands. A $10 donation is suggested upon entry and will directly beneft the Roscoe Village Chamber of Commerce. Roscoe Village Burger Fest Belmont between Damen & Oakley Sink your teeth into Butcher and Burger, Rockit Burger Bar, Trenchermen, and more, accompanied by live bands. A $10 donation is suggested upon entry and will directly beneft the Roscoe Village Chamber of Commerce. Chicago Challenge Feeling competitive? Grab a friend or three and team up for Chicago’s ultimate scavenger hunt race. The “Amazing Race”-style event tests your brain as much as it tests your body and winners get cash prizes, as well as bragging rights. 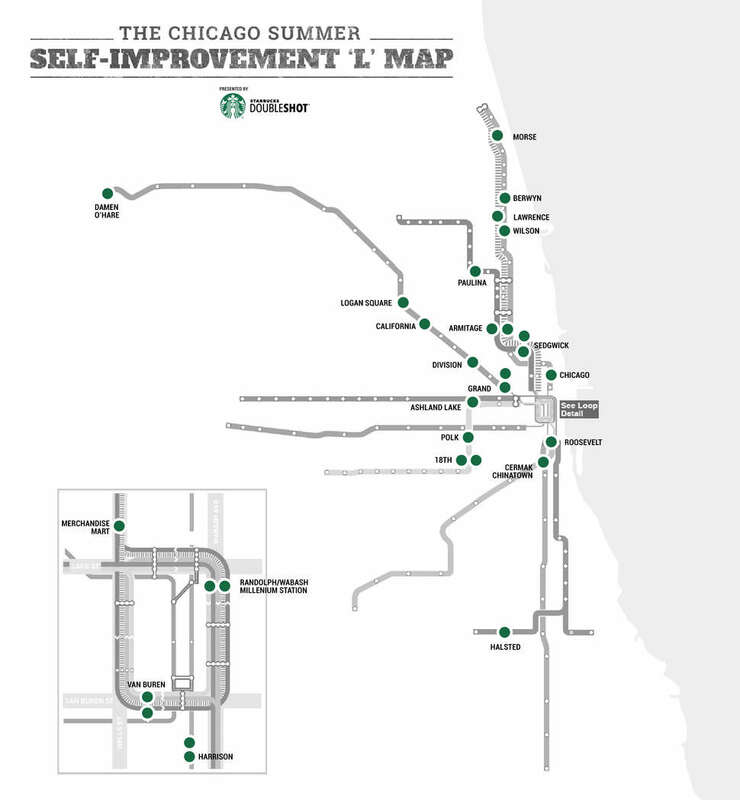 Chicago Challenge (Multiple Locations) Feeling competitive? Grab a friend or three and team up for Chicago’s ultimate scavenger hunt race. The “Amazing Race”-style event tests your brain as much as it tests your body and winners get cash prizes, as well as bragging rights. Burgers and Beer 5K Burgers are good, but earning that burger? Even better. Burgers and Beer 5K Soldier Field Burgers are good, but earning that burger? Even better. Pitchfork Music Festival Get up on emerging artists, as well as established ones like Wilco, Chvrches, and Parquet Courts, at Pitchfork’s tenth three-day festival. And don’t forget to check out the Chirp Record Fair for some seriously geeky souvenirs. Pitchfork Music Festival Union Park Get up on emerging artists, as well as established ones like Wilco, Chvrches, and Parquet Courts, at Pitchfork’s tenth three-day festival. And don’t forget to check out the Chirp Record Fair for some seriously geeky souvenirs. Chicago Craft Beer Festival Raise a frosty mug to Chicago’s ever-expanding microbrew culture with a choice of more than 80 beers, including local favorites Ten Ninety Brewing, Vice District Brewing, and Finch’s Beer Co. They’ll be hanging out at designated tented tasting areas, from which you can take home a souvenir tasting glass. Proceeds go to Sheffield Neighborhood Association. Chicago Craft Beer Festival Sheffield Ave, between Webster & Fullerton Raise a frosty mug to Chicago’s ever-expanding microbrew culture with a choice of more than 80 beers, including local favorites Ten Ninety Brewing, Vice District Brewing, and Finch’s Beer Co. They’ll be hanging out at designated tented tasting areas, from which you can take home a souvenir tasting glass. Proceeds go to Sheffield Neighborhood Association. Celebrate Clark Street World Music Festival Broaden your musical and geographical horizons with two stages of live music from across the globe, art demonstrations and international eats. Celebrate Clark Street World Music Festival Clark Street Between Morse and Estes Streets Broaden your musical and geographical horizons with two stages of live music from across the globe, art demonstrations and international eats. Chinatown Summer Fair Immerse yourself in the Lion Dance Procession, martial arts demonstrations, food from award-winning neighborhood restaurants, and more at this one-day fair that fetes both ancient and modern Chinese culture. Wentworth Ave and Cermak Rd. Chinatown Summer Fair Wentworth Ave and Cermak Rd. Immerse yourself in the Lion Dance Procession, martial arts demonstrations, food from award-winning neighborhood restaurants, and more at this one-day fair that fetes both ancient and modern Chinese culture. Wicker Park Fest The Wicker Park Bucktown Chamber of Commerce presents a weekend filled with three stages of live music, plus local food and vendors. A suggested $5 donation benefits the neighborhood Chamber of Commerce. Wicker Park Fest Wicker Park The Wicker Park Bucktown Chamber of Commerce presents a weekend filled with three stages of live music, plus local food and vendors. A suggested $5 donation benefits the neighborhood Chamber of Commerce. Fiesta del Sol What began in the ‘70s as a way to commemorate Pilsen Neighbors Community Council’s role in the opening of Benito Juarez Leadership Academy has become the largest Latino festival in the Midwest. From a selection of Mexican food vendors and live music to a charitable 5K supporting PNCC and the Illinois Dream Fund, the event is as much about embracing Latino culture as it is about giving back to the community. Fiesta del Sol 1400 W. Cermak Ave. What began in the ‘70s as a way to commemorate Pilsen Neighbors Community Council’s role in the opening of Benito Juarez Leadership Academy has become the largest Latino festival in the Midwest. From a selection of Mexican food vendors and live music to a charitable 5K supporting PNCC and the Illinois Dream Fund, the event is as much about embracing Latino culture as it is about giving back to the community. Lollapalooza The granddaddy of alternative festivals mixes local food vendors and artisans with benefits organizations like Oxfam America and Food Policy Action, and of course, musical titans like Metallica and Florence + The Machine, plus a host of newcomers. Between sets, hit Chow Town for local eats and Lolla Cares to better the world. Lollapalooza Grant Park The granddaddy of alternative festivals mixes local food vendors and artisans with benefits organizations like Oxfam America and Food Policy Action, and of course, musical titans like Metallica and Florence + The Machine, plus a host of newcomers. Between sets, hit Chow Town for local eats and Lolla Cares to better the world. Chicago Hot Dog Fest Chicago History Museum presents a week-long festival in honor of one of the Windy City’s most iconic foods, to a backdrop of live music and beer. Our advice? Partake to the fullest, but don’t even think about squirting a certain tomato-based condiment onto your ‘dog. 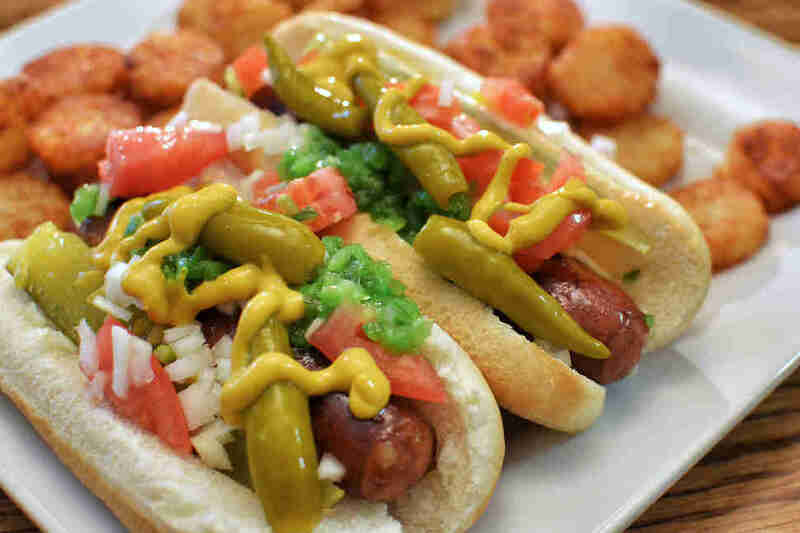 Chicago Hot Dog Fest Clark Street and Lasalle Drive Chicago History Museum presents a week-long festival in honor of one of the Windy City’s most iconic foods, to a backdrop of live music and beer. Our advice? Partake to the fullest, but don’t even think about squirting a certain tomato-based condiment onto your ‘dog. Taste of Andersonville Dinner Crawl Expand your local culinary knowledge with Andersonville’s annual dinner crawl. Sign up for the vegetarian-friendly Salt Route, meat-lovers’ Pepper Route, or the combo, Whole Enchilada, which features sliders from Andersonville Brewing Co., pork belly with kimchi puree from Vincent, a whiskey tasting from Koval Distilleries, and more. Taste of Andersonville Dinner Crawl (Multiple Locations) Expand your local culinary knowledge with Andersonville’s annual dinner crawl. Sign up for the vegetarian-friendly Salt Route, meat-lovers’ Pepper Route, or the combo, Whole Enchilada, which features sliders from Andersonville Brewing Co., pork belly with kimchi puree from Vincent, a whiskey tasting from Koval Distilleries, and more. Festa Italiana Whether you’re a full-blooded Italian or secretly wish you were, make Festa Italiana on Taylor St your destination for trolley tours of the historic neighborhood, competitive meatball and cannoli eating contests, demonstrations, re-enactments, and more. Festa Italiana Taylor St. at Ashland Ave Whether you’re a full-blooded Italian or secretly wish you were, make Festa Italiana on Taylor St your destination for trolley tours of the historic neighborhood, competitive meatball and cannoli eating contests, demonstrations, re-enactments, and more. Chicago Air & Water Show Cop a seat at one of the lakeshore’s many vantage points for the Chicago Air & Water Show -- a city tradition that’s been ongoing for over half a century. 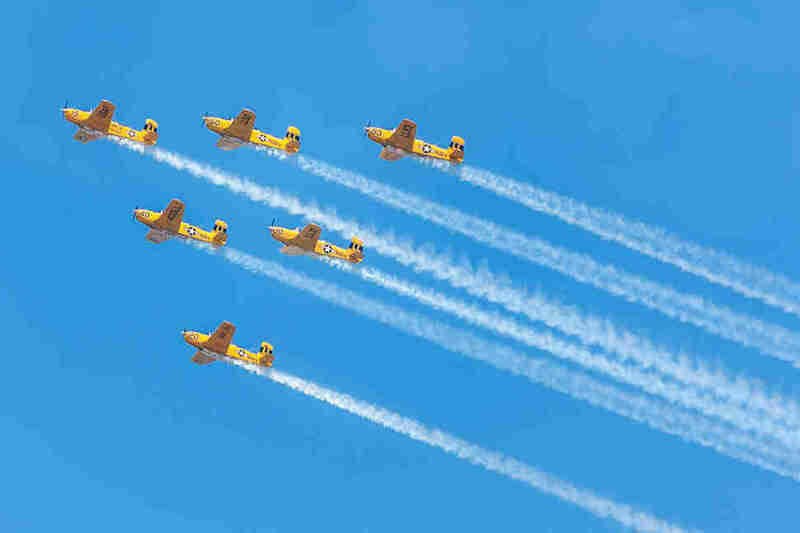 Expertly trained pilots and boaters never fail to shock and awe with a series of choreographed tricks and maneuvers. Chicago Air & Water Show North Ave. Beach Cop a seat at one of the lakeshore’s many vantage points for the Chicago Air & Water Show -- a city tradition that’s been ongoing for over half a century. Expertly trained pilots and boaters never fail to shock and awe with a series of choreographed tricks and maneuvers. Chicago Food Social The city’s best food trucks, restaurants, and chefs come together to celebrate their collective talent and benefit the West Town Chamber of Commerce and Ever Thrive Illinois. This year’s event will also highlight Frontier Restaurant – and its annual oyster shucking competition, so sharpen up. Chicago Food Social Miwaukee Ave, between Division & Noble The city’s best food trucks, restaurants, and chefs come together to celebrate their collective talent and benefit the West Town Chamber of Commerce and Ever Thrive Illinois. This year’s event will also highlight Frontier Restaurant – and its annual oyster shucking competition, so sharpen up. 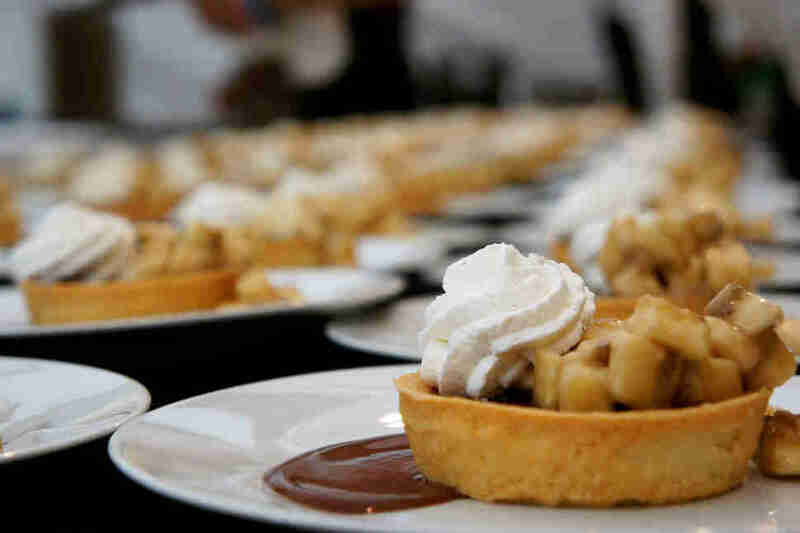 Chicago Food & Wine Festival From cooking demonstrations and meet-and-greets with top chefs to food- and wine-tasting pavilions, the inaugural Chicago Food & Wine Festival promises to be one of summer’s most memorable events. Where can you find Stephanie Izard, Rick Bayless, Charlie McKenna, and Jose Garces in the same place? Your apartment? Oh, okay. Chicago Food & Wine Festival Lincoln Park From cooking demonstrations and meet-and-greets with top chefs to food- and wine-tasting pavilions, the inaugural Chicago Food & Wine Festival promises to be one of summer’s most memorable events. Where can you find Stephanie Izard, Rick Bayless, Charlie McKenna, and Jose Garces in the same place? Your apartment? Oh, okay. 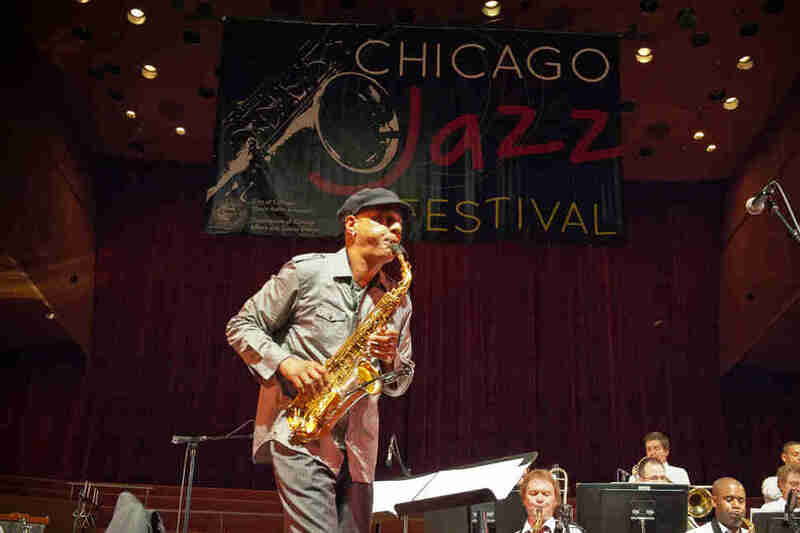 Chicago Jazz Festival Develop a deeper appreciation for jazz at the Chicago Jazz Festival at Millennium Park, where Chicago’s greatest jazz talents, including Muhal Richard Abrams, Jose James, and Dee Dee Bridgewater, will perform. Chicago Jazz Festival Millennium Park Develop a deeper appreciation for jazz at the Chicago Jazz Festival at Millennium Park, where Chicago’s greatest jazz talents, including Muhal Richard Abrams, Jose James, and Dee Dee Bridgewater, will perform. The Magnificent Mile Shopping Festival Send summer off in style with a celebration of fashion, food, and fitness over Labor Day weekend in Chicago’s world class shopping district. The fest kicks off with “The Magnificent Taste” culinary event, and goes on to include exclusive retail and nightlife events and the Chicago Women’s Half-Marathon and 5K, the only sporting event in the city to feature the Magnificent Mile as the course focal point. The Magnificent Mile Shopping Festival The Magnificent Mile Send summer off in style with a celebration of fashion, food, and fitness over Labor Day weekend in Chicago’s world class shopping district. The fest kicks off with “The Magnificent Taste” culinary event, and goes on to include exclusive retail and nightlife events and the Chicago Women’s Half-Marathon and 5K, the only sporting event in the city to feature the Magnificent Mile as the course focal point.